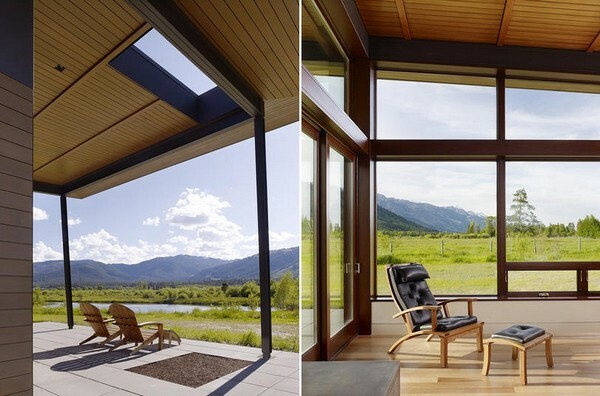 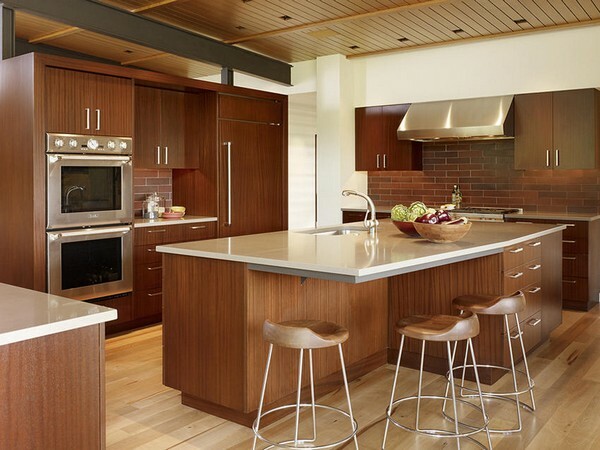 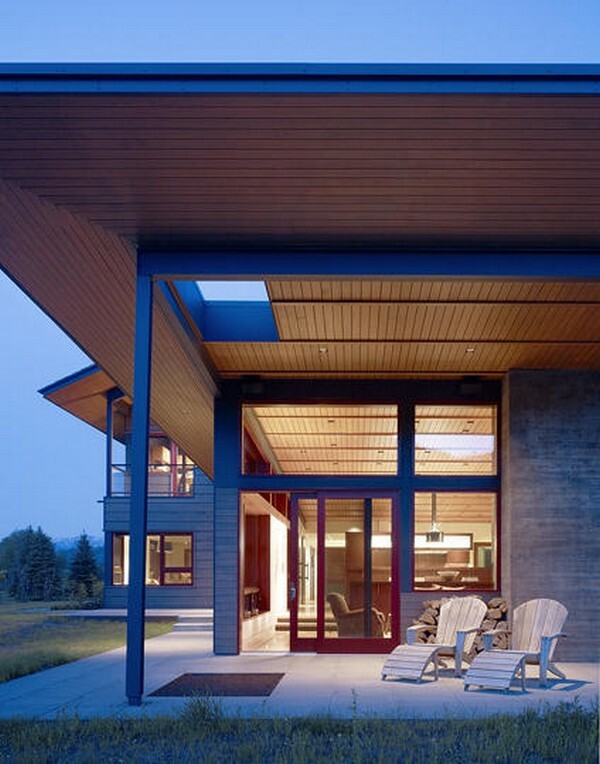 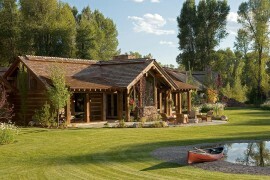 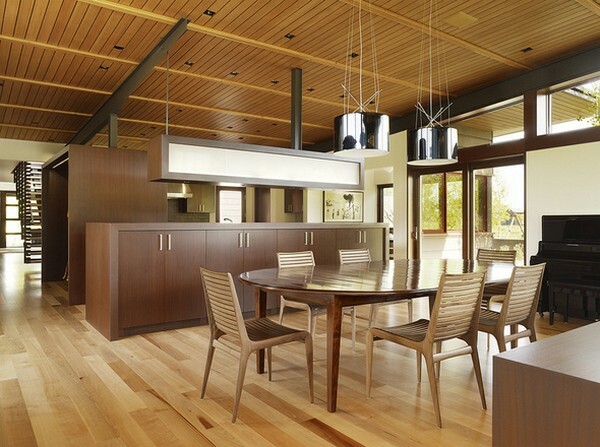 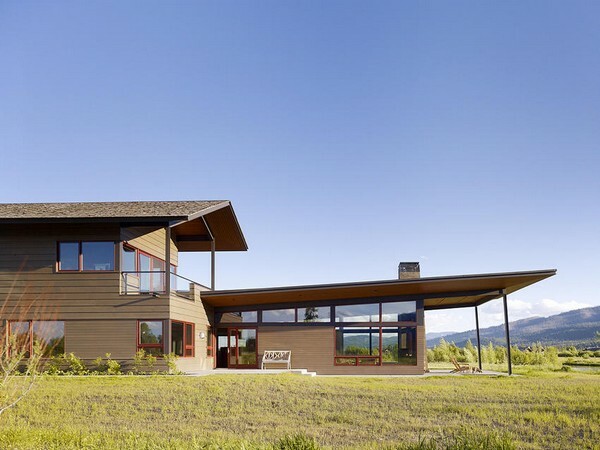 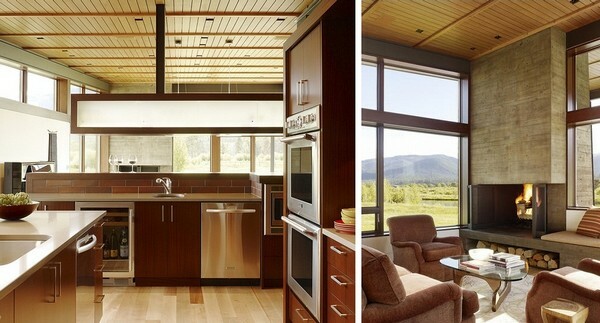 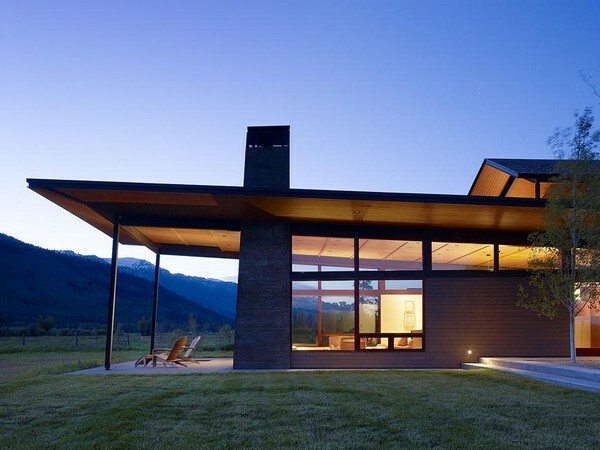 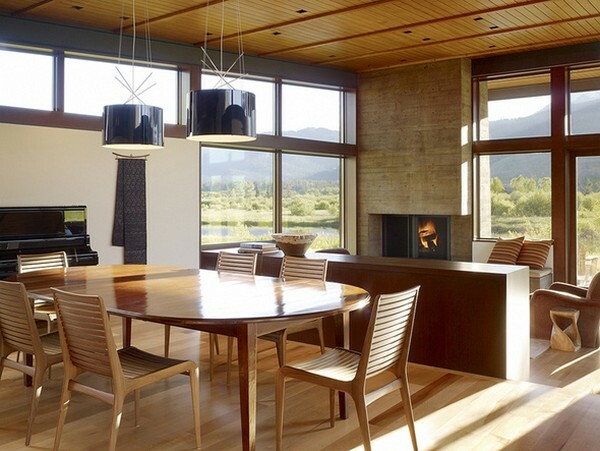 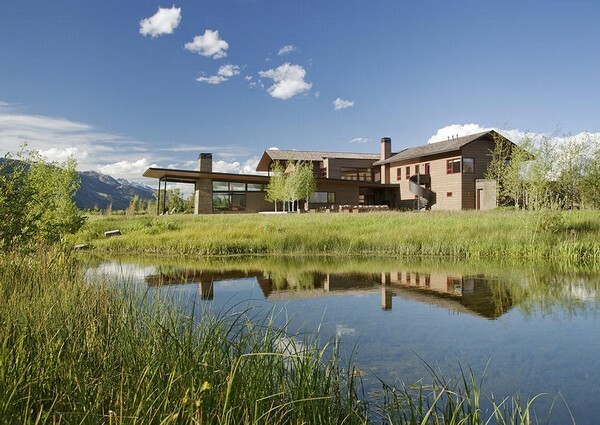 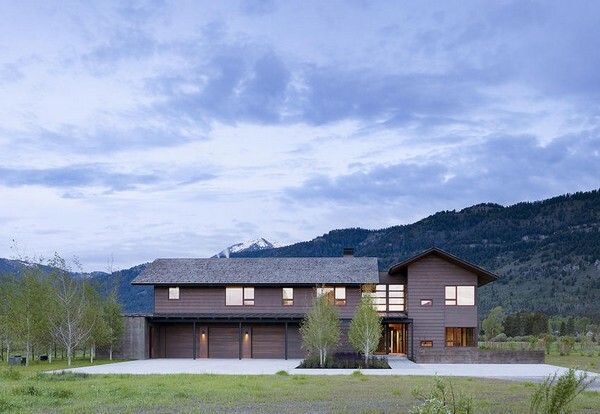 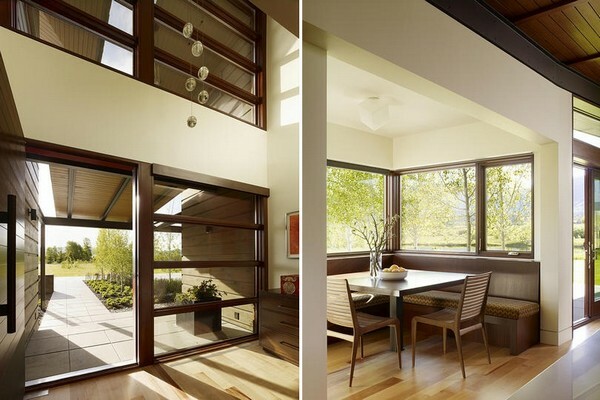 The Peaks View residence was designed by Carney Logan Burke Architects near Wilson, Wyoming, to blend into the beautiful mountain scenery and accommodate contemporary living. 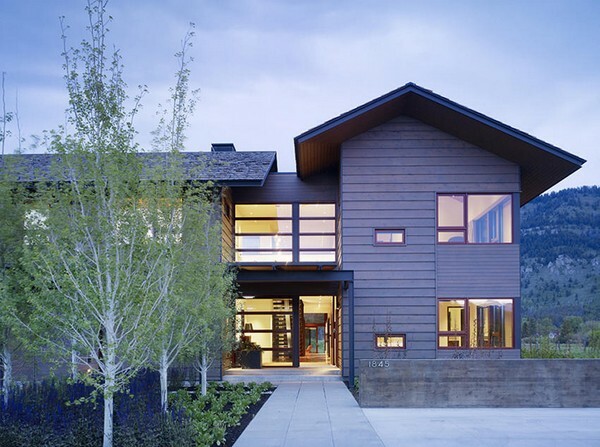 The synergistic building integrates well into the built neighborhood through a more traditional gable roof volume, and responds to the need for contemporary living design through the airy living pavilion with floor to ceiling windows. 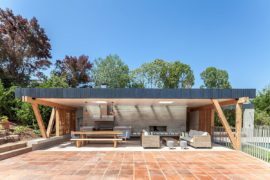 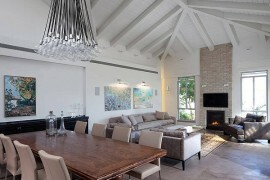 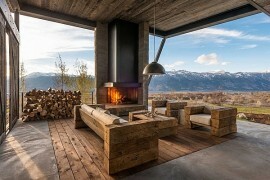 The pavilion features a minimal and extended shed roof seemingly supported only by the rough concrete fireplace and chimney. 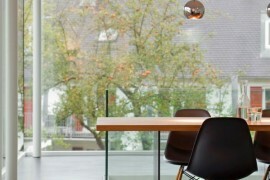 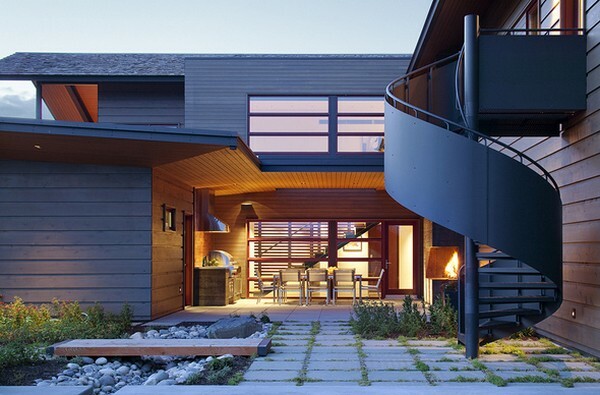 The residence is lined around a central courtyard with an outdoor dining place. 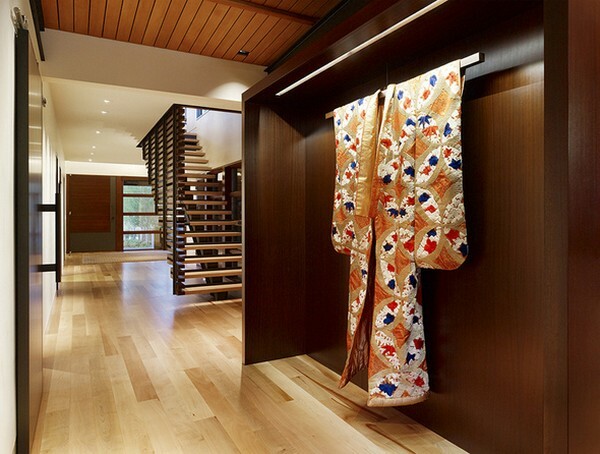 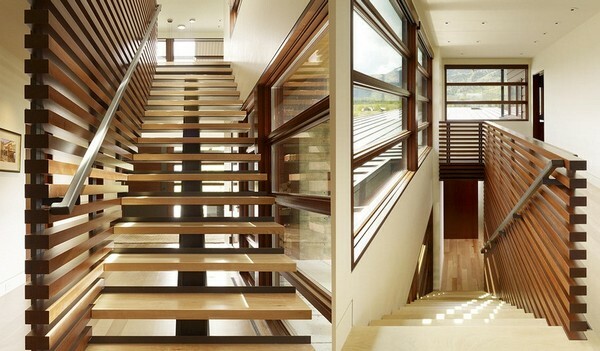 The interiors are remarkable through comfortably classic furniture and rich warm timber cladding for the ceilings, as well as the spectacular staircase with a parapet of staggered wood boards.